Campers will receive a 15 minute snack break during the day. GYMSTRADA has all Girls & Boys Olympic equipment. All Girls & Boys Olympic Equipment! 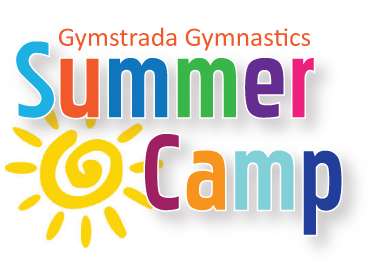 Our goal is to reach all age groups of children and provide them with a summer filled with the best gymnastic training available. Our main concern is to develop campers at each skill level. Campers will receive a skill sheet and awards at the end of each week. Cheerleading is an extension of gymnastics and tumbling, but NO CHEERS will be taught. Our cheerleading program is designed to teach the gymnastic part of the routine. Interested in Team Training? Gymstrada has had great success with several local teams in increasing the tumbling ability of each group. Groups with a minimum of 5 students can schedule team clinics. It's a great way to improve tumbling skills required for cheer. - Our camp day starts at 9:00am and ends at 12:30pm. - There will be a gymnastics game each day. * Please provide your child with a healthy snack such as fruit, pretzels, yogurt etc.